Cut to fit close to the body and keep you looking dapper, day and night. Ideal for a lean frame. Impeccably tailored to flatter your individual body shape and size with a slightly looser, roomier fit mainly around the waist. Please enter your detailed measurements below so we can give you a perfect fitting garment. All measurements should be entered in inches. While measuring make sure to keep one finger space between the body and the tape to allow for some extra room. Take the circumference measurement around the middle of your throat. 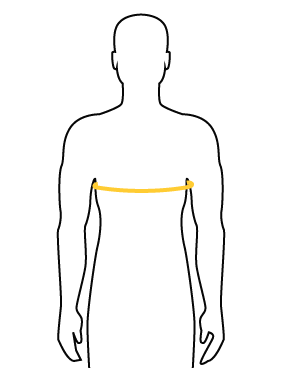 Take the circumference measurement around your chest at the underarm. Take the circumference measurement at the narrowest point of your waist. Take the circumference measurement at the hip bone. Take the circumference measurement at the widest point of your hips/buttocks. 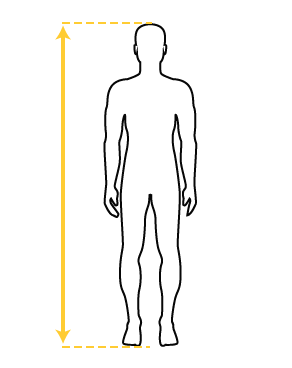 Your height from head to toe. + Add/Edit detailed measurements for the perfect custom fit? + Add detailed measurements for the perfect custom fit? Perfect for a daytime celebration under the skies like a festive lunch or the mehendi event of a friend or family member. This printed, rich dupion bandi keeps the traditional floral jaal on a soft azure, keeping the style trendy yet understated. Free Shipping Within India. Depending on your location, please allow 14-21 business days for delivery. We also make bandis for your little ones. Ages 3 months to 14 years. Get 'Azur ivy dupion bandi' made to order. Click here to send us a request.